The current owner of this beaty has put a lot of time and effort into his toy. Monaros have been in the news lately, given the stunning result at the Shannons Sydney auction, where a one-owner survivor HT GTS350 scored an incredible $225,000. However data over 2015-16 suggests that we saw an exceptional result. Below are figures taken from a wider sampling. Also, you might like to join us for one of our favourite long-term Monaro owner stories, right here. 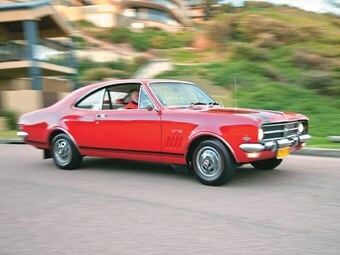 NOBODY WAS more surprised than Holden and its fledgling Dealer Team when their 350-engined GTS managed an unlikely Bathurst 500 win against purpose-made Falcon GTHOs. The 327 that won a year earlier certainly had the ‘wood’ on Ford’s XT GT but the HT’s success was unexpected. Equally surprising was the general lack of interest in competition Holdens that prevailed pretty much until 2003-04. That was when ‘Bathurst’ Monaro values took off like they had a cracker up their clacker. Some vendor expectations at the time were beyond ludicrous but cars in outstanding condition deserved to sell for $200-240,000 and some did. However the market since 2008 has contracted to the point where outstanding examples will be hard pressed to currently better $180,000. Genuine show winners or cars with potential to bag trophies at the pinnacle of concours d’elegance competition will do a bit better. Manual cars cost $15-30,000 more than automatics - these available only in HT trim. However the two-speed auto is an excellent choice for owners who just want to cruise around in their Mountain Tamer. Scarce colours add a little to value but condition is the factor that will ensure a 327 or 350-engined GTS generates maximum money. Documents that track a car’s history right back to its original selling dealer make a difference too. Original car in very good overall condition, no work required (not concours). Functional, all there, but minor repairs and refresh needed. Structurally sound and working, but in need of repair. insufficient data, approximate price range shown. Concours cars and exceptional survivor cars may attract a premium.